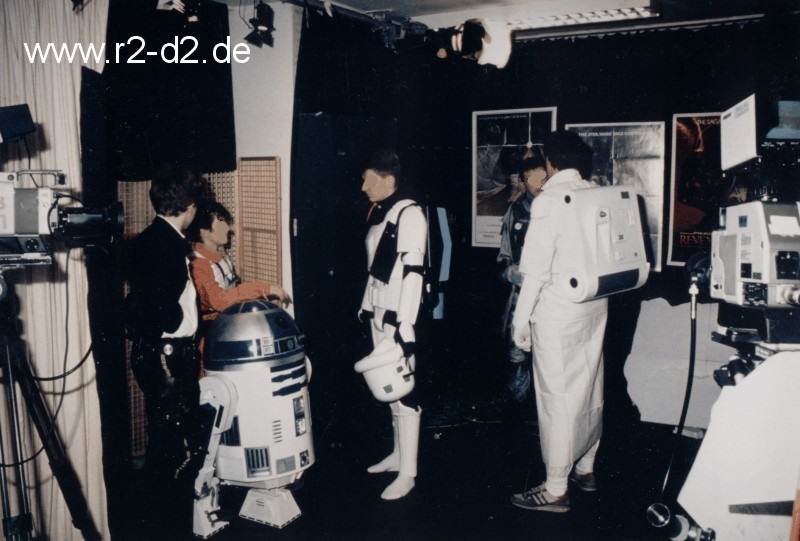 R2´s first public performance in a "StarWars Special" . 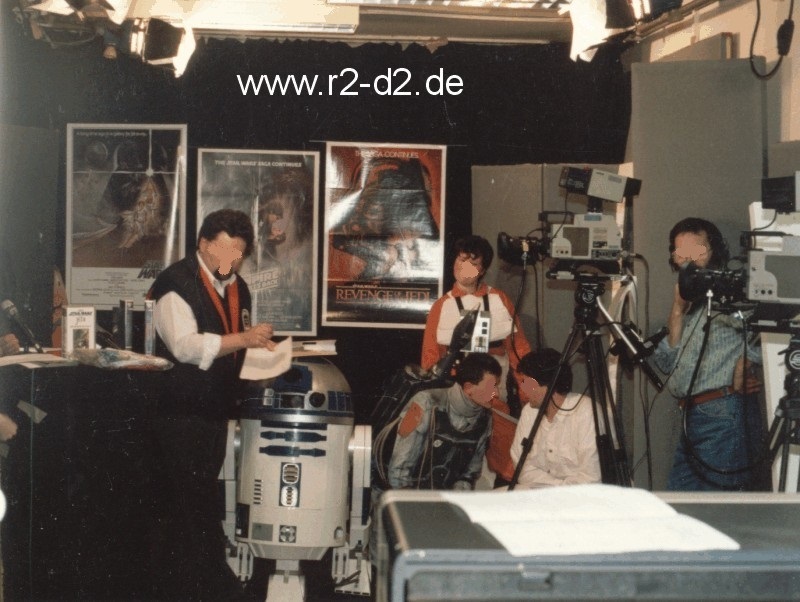 Several people I knew made a monthly movie show for the citizen TV channel in my hometown Dortmund. 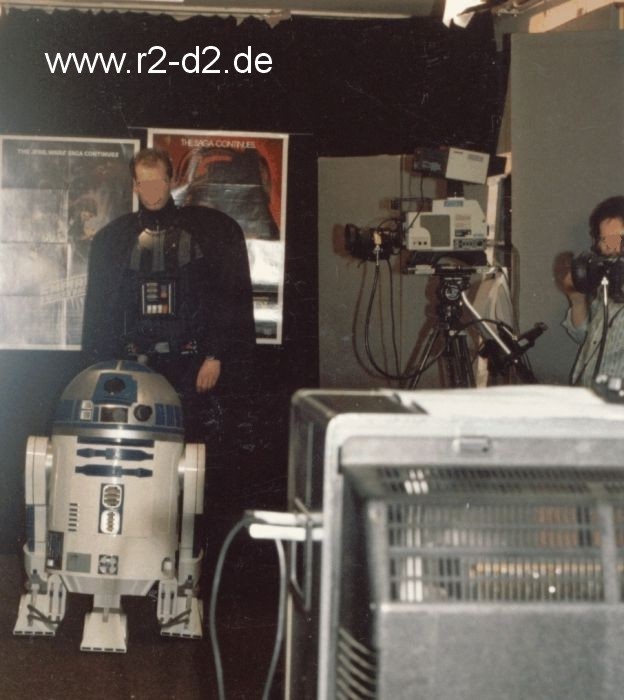 This show was acclaimed to be the best regular thing thecitizen channel had, and it was the only show that went live over the antennas. 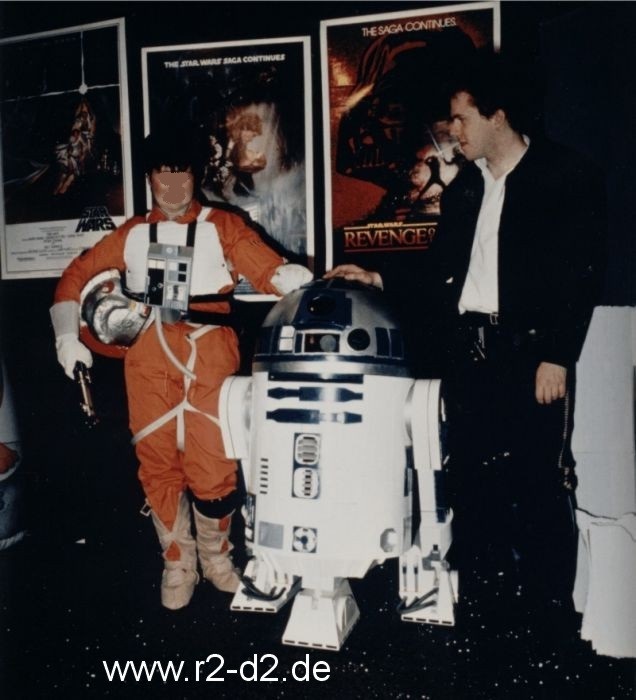 My R2 wasn´t finished at that time, he could only turn his head; the motors in the feet didn´t yet work. Really funny when I see this video today. 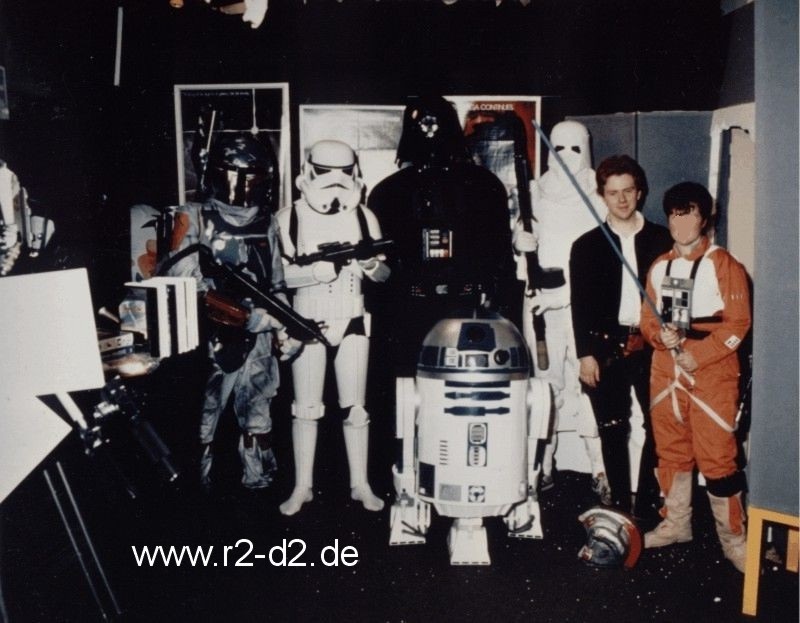 Many of the people on the pictures are still very good friends. Catering rating: What catering?